Charleston Limo Service offers ground transportation to the North Charleston area with dependable, professional transportation services. Travel aboard our private sedans, limos, mini-coaches, or specialty vehicles (stretch SUVs) to your destination in North Charleston. North Charleston offers a small town feel with walkable communities and sustainable living, no parking meters, more than 7,000 affordable to luxury accommodations, a wide selection of restaurants, entertainment complexes, shopping malls and specialty shops, and is central to accessing area attractions. North Charleston is home to the area’s best special events venue the North Charleston Coliseum and Performing Arts Center. You can attend sporting events, concerts, festivals, comedian performances, plays, and so much more. It’s THE entertainment location for the greater Charleston area. 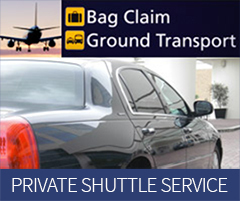 Charleston Limousine and Airport Shuttle Service is dedicated to providing luxury transports in and around the Lowcountry of South Carolina and, when necessary, beyond.